Having studied French seriously for a few years, you will have picked up a wide range of words and phrases. Your vocabulary will probably be close to ~10,000 words. This should allow you to say pretty much whatever you want to say without having to break rhythm and rack your brains for a translation. The same principle applies to all languages, and French isn’t an exception. If you want to stop being ‘that foreigner that can speak French well, but awkwardly and disjointedly’, this book will be invaluable to achieving, not just fluency, but naturalness as well. 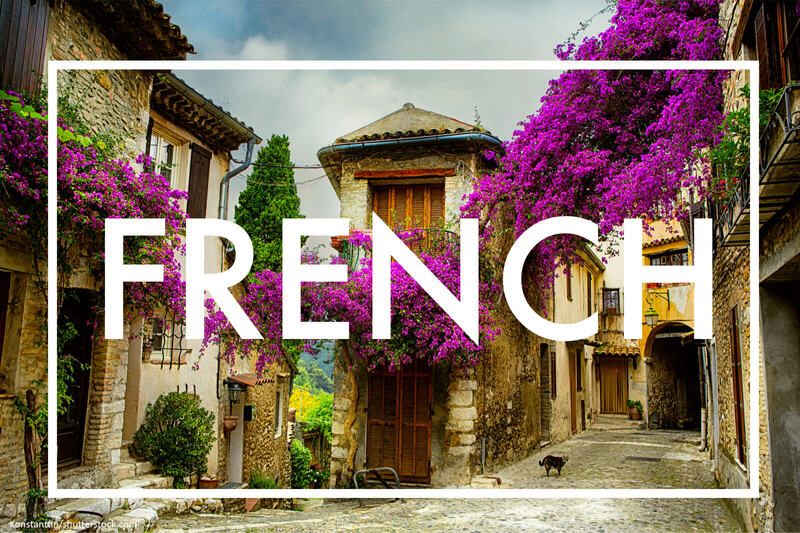 While Using French Synonyms isn’t the end of the road when it comes to vocabulary, if you can work your way through it and absorb as many of the lexical nuances that are presented to you, you will be knocking on the door to genuine native-level fluency. An absolute essential for advanced French learners. Quite simply, the last word in French grammar. Leaves no stone unturned, includes explanations for topics that even its best, most comprehensive rivals fail to cover. Expensive, but well worth its price for teachers and advanced students. Le Bon Usage is quite possibly the greatest grammar book ever written. At 1760 pages, this vast encyclopaedia of French grammar is unmatched in its thoroughness – even native speakers will be astonished at the breadth and depth of knowledge contained in its chapters. Every single grammatical topic that you can possibly think of is covered in this book – even Price’s Grammar omits some of the more obscure points – meaning that it is an absolutely vital resource if you want to teach French or attempt the highest CEFR exam. It’s worth getting the most up-to-date version as French has evolved considerably in the last seventy years. Le Bon Usage, as you may have guessed, is not cheap investment, but it will last you the rest of your life. If you really love the French language, then you owe it to yourself to pick up a copy of this magnificent book. At this level, you should be able to read virtually anything! The entire world of French literature is now open for you to explore, and no writing in the contemporary media will be prohibitively challenging. The main thing to do is to read widely – try to absorb as much vocabulary from as many genres, topics, and registers as you’re able to bear. Focuses on areas of written French that English speakers in particular find challenging. Learn how contemporary French is actually used in the real world. An excellent choice for students that would like to use French for business purposes and want to improve the professionalism of their French. Using French is a guide to advanced French usage, focusing on areas of grammar, vocabulary, style, and register that are particularly difficult for English speakers. We really can’t rate this book highly enough: even if you learnt Price’s Grammar off by heart, you would still come across thousands of annoying difficulties in trying to write perfect French. While we obviously can’t claim that this book contains the answer to every single one of those problems, just one look at its contents pages should convince you that it’s a vital tool for advanced learners who want to take their French to the next level. As we have said previously, you need to practise your French writing a lot in order to make progress.But let’s assume for a second that your friends have lives and don’t want to spending every waking minute of the day correcting your past perfective participles – who can you go to for writing practice? The French section of the WordReference forum is a great alternative if you can’t be bothered with Lang-8’s reciprocal set-up. You can ask virtually any question related to French and expect to get a detailed knowledgeable answer back within a few hours. As with any forum, make sure you read up on the site’s rules and etiquette before posting. If you’re not living in France, keeping your speaking up for an advanced learner can be surprisingly difficult. Language classes in institutes aren’t really worth their high costs at this point because you just need to talk, not have grammar explained to you. If you haven’t got a burgeoning French-orientated social life, then you need to create one artificially! Online language learning website which connects language learners and teachers through video chat. Over 5,000 teachers to choose from, ranging from qualified professionals to community tutors. Prices per hour can be as low as $5 for French. Best way to keep up your speaking skills from home. Professional teachers are in possession of teaching qualifications and tend to follow a structured lesson plan. They may charge quite a bit, depending on the language being taught. Community tutors on the other hand are just enthusiastic native speakers that can provide informal conversational lessons. Their prices vary, but for some languages (including French!) you can get hour-long lessons for as low as $5! If you are an advanced French speaker, we recommend that you arrange lessons solely with community tutors – all you need at this point is conversation practice, and a lot of it! Large collection of French idioms, old and new. Over 2,000 entries with explanations and examples. The only resource that any French learner would ever need to enrich their vocabulary with colourful idioms. A must-have for (in particular, literary) translators. Large collection of French idioms, old and new. Over 2,000 entries with explanations and examples. The only resource that any French learner would ever need to enrich their vocabulary with colourful idioms. A must-have for (in particular, literary) translators. .
You can actually find hundreds of French idioms on Wiktionary (with their literal translations and English equivalents). But if you that’s not enough and you feel you want to delve deeper, then Barron's French Idioms is perfect for you. With close to 2,000 fully-translated items, it has enough Spanish idioms to last even the most dedicated learner for a lifetime. Like all good language books, it packed full of examples, grammatical explanations, and stylistic and usage information. Very practical, hands-on guide for French-English translators. The main aim of the book is to identify problematic aspects of French and English that might cause translations to sound clunky or awkward. Provides numerous examples for each point made and supplementary exercises to test your knowledge. Perhaps you want to do more than speak excellent French. Perhaps you have ambitions of working as a professional French translator. That’s why books like Thinking French Translation are so important: they teach you the vital translation skills that you won’t get from general French textbooks.